Professor Helfand is an expert on religious law and religious liberty. A frequent author and lecturer, his work considers how the state treats religious law, custom and practice. He currently serves as the Associate Dean for Faculty and Research Professor of Law at Pepperdine University School of Law and associate director of Pepperdine University’s Glazer Institute for Jewish Studies. His articles have appeared in various law journals, including the Yale Law Journal and the NYU Law Review, as well as in various general audience publications, including the Wall Street Journal, Los Angeles Times, USA Today and the Forward. In addition to his academic work, Professor Helfand is a board member of the Beth Din of America where he has also serves as an arbitrator and consultant. 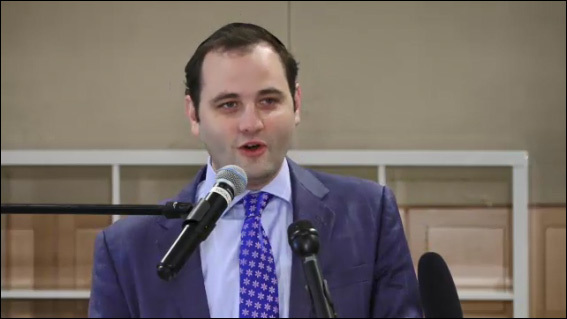 He received his JD from Yale Law School, PhD in Political Science from Yale University and BA from Yeshiva University. Prior to joining the Pepperdine Law faculty, Professor Helfand was an associate at Davis Polk & Wardwell LLP, where his practice focused on complex commercial litigation. Before entering private practice, Professor Helfand clerked for the Honorable Julia Smith Gibbons of the U.S. Court of Appeals for the Sixth Circuit.